If Democrats have their way, the midterm elections will turn on the issue of preexisting conditions. 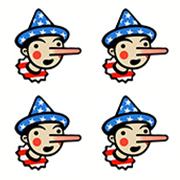 As we have documented, some House Republicans have even sought to diminish the impact of their votes in favor of the House GOP plan to repeal and replace the Affordable Care Act by falsely citing our fact checks. But Democrats, in pressing their advantage on the issue, have gone too far in claiming how many people potentially would have been affected if the GOP bill had been enacted into law. Some of their tweets and statements are even undercut by a report issued Oct. 24 by Democrats on the House Oversight and Government Reform Committee. Making it even more confusing, there’s a separate effort by 20 states, led by Texas, to completely repeal the Obama health-care law because the president’s tax bill suspended the mandate to buy insurance. The Trump administration has declined to defend the law, despite the president’s claims that the administration wants to protect the provisions. We awarded President Trump an Upside-Down Pinocchio for his flip-flop on the issue. Let’s take a look at how some Democrats are framing this. There are many options to choose from, so these are just a few of the examples we found. We will divide it into two parts because we have different ratings. The report issued by the House Oversight Democrats said that “as many as 195,000 people” in Arizona and “as many as 399,000 people” in Pennsylvania are in the individual market and have preexisting conditions. Even those numbers may be high-end estimates. 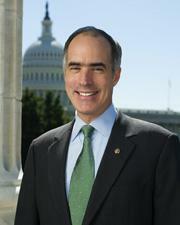 A spokesman for Casey said the number for Pennsylvania in the tweet came from a Center for American Progress (CAP) news release in April 2017, which provided figures from states and congressional districts. The CAP report was an update, using 2015 data, of a Health and Human Services Department report released by the Obama administration just before Obama left office. The House Oversight Democratic report was also an adaptation of the HHS report, but with 2016 data. That HHS report, using 2014 data, said 61 million to 133 million non-elderly Americans (23 percent to 51 percent) have preexisting conditions. The difference in the numbers depends on the definition that is used. The more-narrow definition is based on eligibility for state-run, high-risk pools that predated Obamacare; these would have been an option under the AHCA. The broader definition includes health conditions (such as arthritis) or behavioral health disorders (such as substance abuse) that might have resulted in denial of coverage or higher premiums. The CAP report and the House Oversight report relied on the high-end estimate. The House Oversight report estimated that as many as 10 million people in the individual market were at risk, but it could be 5 million using a narrower definition. There are other estimates on people with preexisting conditions as well, such as a Kaiser Family Foundation study that said 27 percent of American adults younger than 65 have “health conditions that would likely leave them uninsurable if they applied for individual market coverage under pre-ACA underwriting practices that existed in nearly all states.” This number is more conservative in part because the survey did not have enough detail on some illnesses (such as HIV/AIDS) that before Obamacare would have left someone without insurance. Meanwhile, a 2010 investigation by the House Energy and Commerce Committee, based on documents from the four largest for-profit health insurers, found that companies denied coverage to 1 out of every 7 applicants. That would be 14 percent, though the report notes that “the actual number of coverage denials is likely to be significantly higher” than the number of documented denials. Still. if you took the entire U.S. population with health insurance — about 257 million people — that means 34 million would face a denial of coverage. Within the individual market — assuming every state took advantage of AHCA options — the number would be 2.5 million, assuming they all experienced a lapse in coverage of more than two months. These figures certainly are smaller than the big numbers in the tweets. American Bridge, a Democratic-leaning super PAC, also used a statewide number in a tweet attacking Josh Hawley, the Republican Missouri attorney general who is challenging Sen. Claire McCaskill (D). Hawley had joined in the lawsuit with 19 other states. American Bridge also relied on the CAP study. The House Oversight study, which is specifically designed to look at the impact if the states' lawsuit is successful, says 314,000 people in Missouri’s individual market would be affected, including people between 50 and 64 who rely on age protections in the ACA. But the House Democratic report also notes that more than 3 million people who obtain coverage through employers in the state could be “at risk” of losing “federal protection” on preexisting conditions. That’s similar to the CAP estimate, which used data from the year before. She noted that questions have been raised about whether the lawsuit would wipe away protections that existed before the ACA, stemming from the Health Insurance Portability and Accountability Act of 1996 (HIPPA). The protections in the 1996 law were incorporated into the ACA, so it’s unclear what would happen if the lawsuit was successful; congressional action would probably be required. But for so many people to be placed “at risk,” it appears to assume that just about everyone loses their employer-provided insurance at once. Moreover, 11 states, including Arizona, passed laws prohibiting the use of preexisting-conditions exclusions and limitations after the ACA became law; other states already had such rules in place. So in those states, “federal protection” might be gone if the lawsuit succeeded, but state protections might remain. The Commonwealth Fund in 2018 analyzed the state laws and found some state laws are explicitly tied to the ACA, meaning they would be void if the federal law was invalidated. Other state statutes are ambiguous and would be subject to legal challenges. Meanwhile, 29 states have not adopted any of the ACA consumer protections. Update: We originally included this Sinema tweet with the ACHA section above. But after the fact check was published, the Sinema campaign strongly objected to the placement of her tweet in the section limited to the AHCA, saying it was more akin to American Bridge tweet. A campaign spokeswoman said that Sinema’s use of the 2.8 million figure was based on McSally’s votes before the AHCA, including efforts to repeal the law without a replacement in place. “This tweet referenced Congresswoman McSally’s long record of jeopardizing protections for preexisting conditions, including votes for full repeal in 2015 and 2016, her votes for the American Health Care Act, and her decision to campaign with -- instead of stand up to -- the Arizona Attorney General who joined a lawsuit that seeks to gut preexisting conditions protections,” said spokeswoman Helen Hare. As evidence, Hare provided statements made by Sinema that associated the 2.8 million figure with those votes, such as in this tweet of a segment of a debate. In the debate, Sinema brought up “nearly 3 million” and also both the vote for ACA repeal and the AHCA. In light of this additional context, we have moved the tweet to its own category and reduced the Pinocchio rating below. 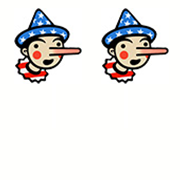 In the case of Democrats using statewide numbers for people with preexisting conditions for votes concerning the AHCA, that’s worthy of Four Pinocchios. They’ve taken high-end estimates for the entire insurance market, even though the law affected mostly the individual market. Different states also would have had to proactively seek waivers. The Congressional Budget Office found that in states with one-sixth of the U.S. population, there could be turmoil in the insurance markets – but that meant it might be fine in other states. There’s little excuse to apply numbers for the entire insurance market to the much-smaller individual market. In the case of attacking a supporter of the lawsuit, such as Hawley, there’s a stronger case for a statewide number because the lawsuit would wipe out all protections embedded in the ACA and the impact is uncertain, even in the employer-based insurance market. But it’s still a high-end estimate, so the real figure could be half as much. The same could be said for candidates who cast votes for the repeal of the ACA without a replacement, provided it is framed correctly as Sinema did in the debate. That’s worthy of two Pinocchios. "Josh Hawley is a star player in the lawsuit to gut the Affordable Care Act. He’s putting 2.5 million Missourians with pre-existing conditions at risk." "Amy survived breast cancer, but Congressman Barletta's vote to take away protections for people with pre-existing conditions put her and 5.3 million other Pennsylvanians at risk."